Spend the night in our secluded Caribbean oasis. 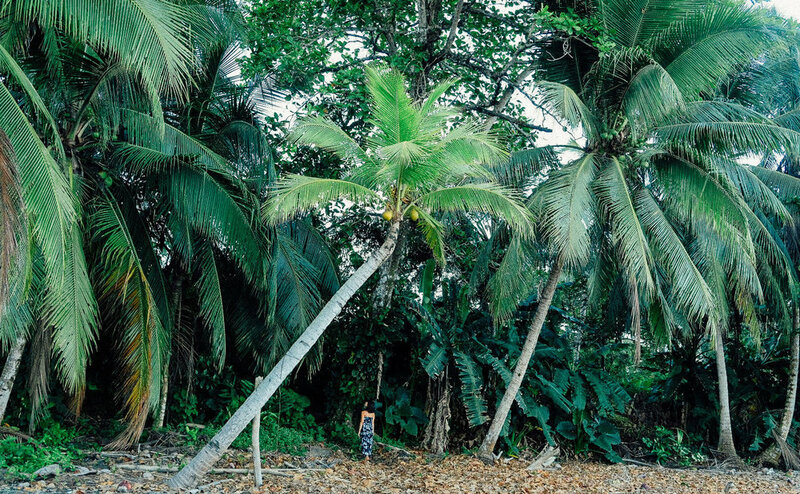 When you’re here you can feel the buzz of bio-diversity and the energy of the jungle. 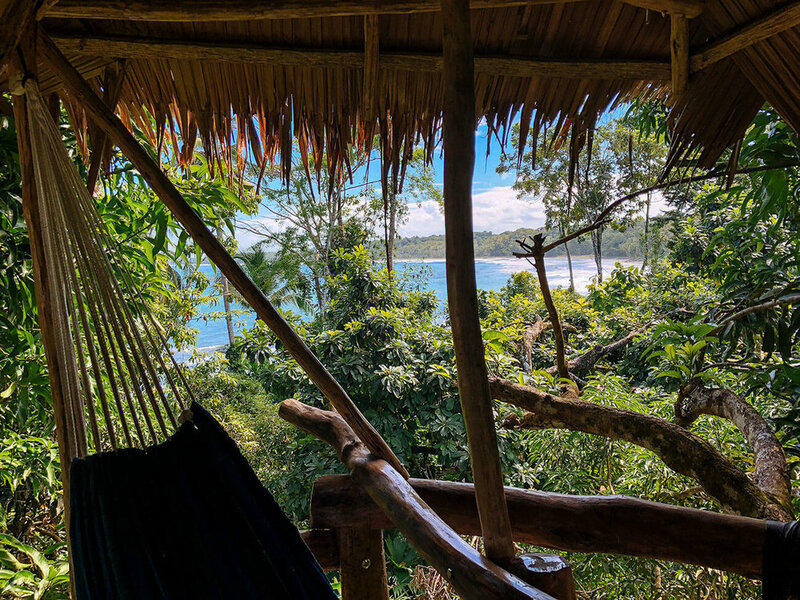 You are completely immersed in the sounds of waves crashing, birds chirping, and monkeys howling from the treetops. 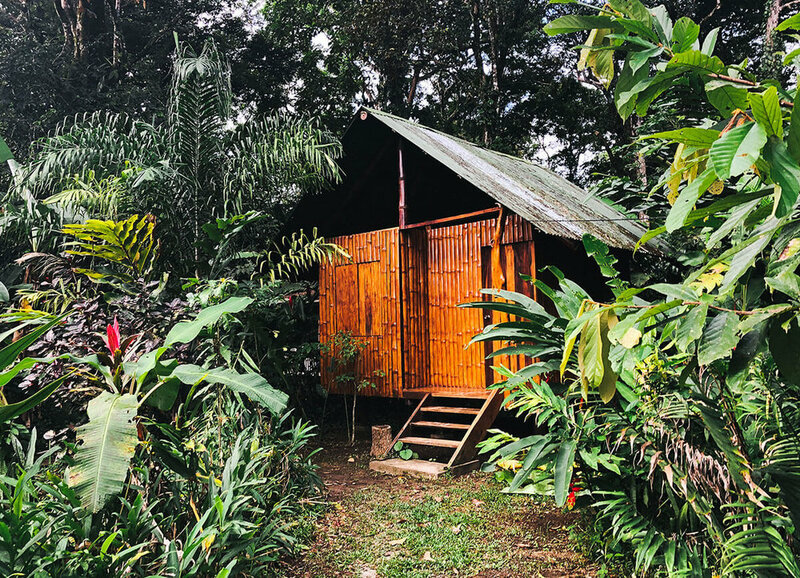 All our guest cabins are hand-built from fallen trees and bamboo foraged and milled on our land. Most have solar-powered electricity, however we encourage you to give your eyes and body a break from artificial light during your stay and end your day by candlelight. 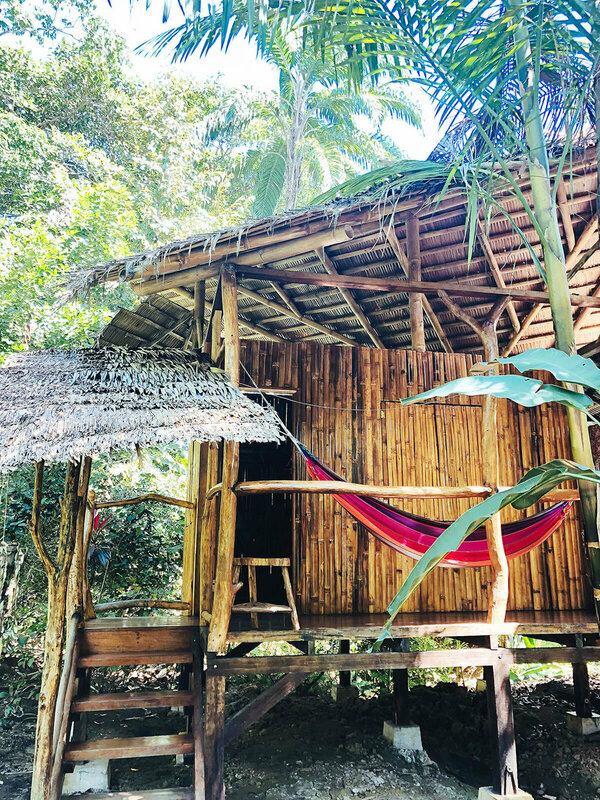 Our casitas are private, stand-alone cabins. 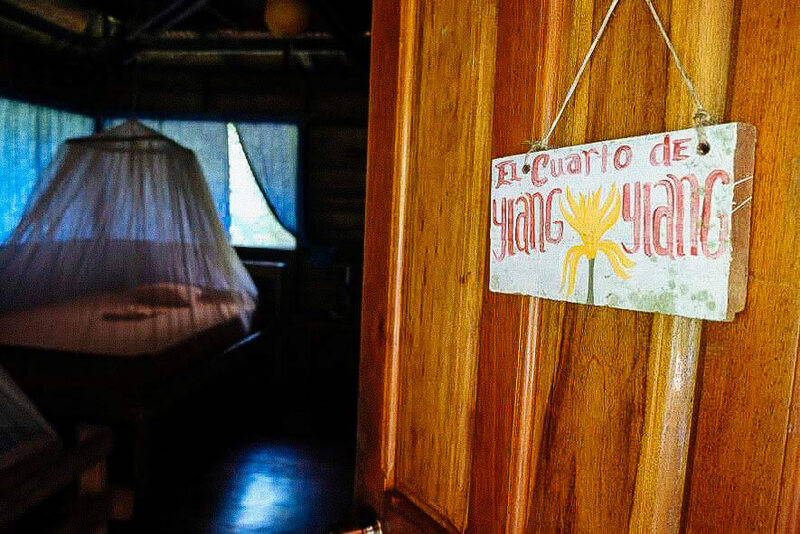 They are our “jungle eco-luxury” option for guests who want a bit more privacy or romance. 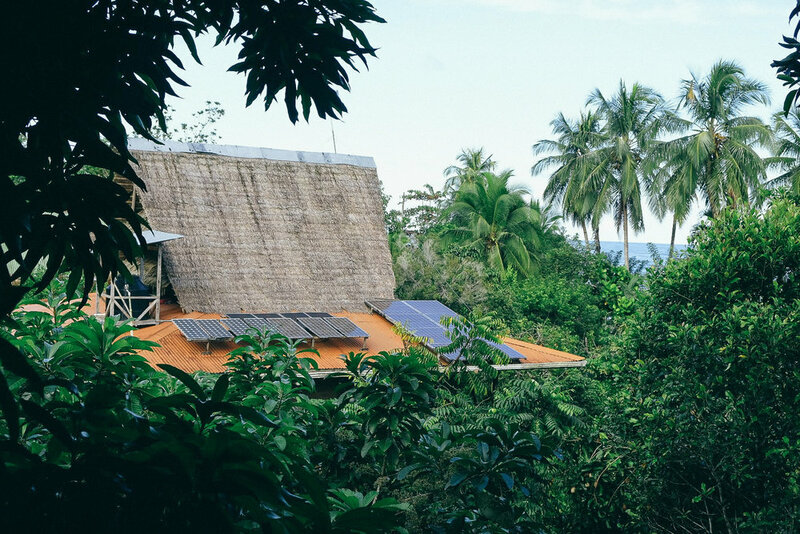 The casitas have a double bed and a single loft with electricity and shared facilities. The maximum capacity is two adults. Additional kids are $35 each per night or $225 per week. Our most popular accommodation is private or shared rooms in our main or back house. These rooms have 1-3 beds, open or screened windows, mosquito nets, lockboxes and often closet rods for hanging clothes. Come with friends, or get to know fellow travelers and Punta Monians. Our main community house is equipped with electrical outlets where you can charge your devices. We limit charging to daytime hours when the sun is out, and try not to charge on cloudy days to conserve our solar-generated power. The food at Punta Mona is DELICIOUS. We prepare 3 farm-to-table community meals each day, packed with nutrient-rich fruits, roots, greens, and herbs. Learn more about our kitchen and our food here. Our shared dry toilets are located throughout the property and are cleaned and maintained daily by our staff. 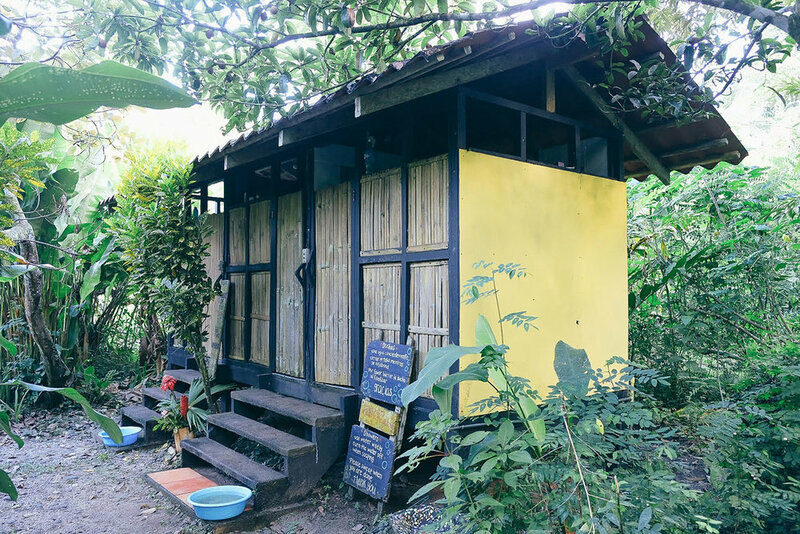 Composting toilets are an amazing way to practice a closed-loop balanced eco-friendly lifestyle. Learn more about how we make Humanure here. 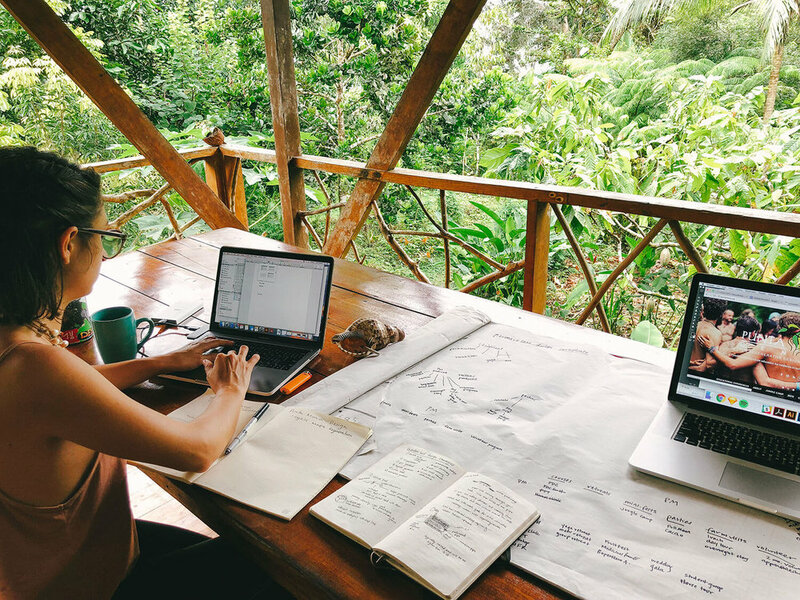 At Punta Mona we like to “disconnect to reconnect” - unplugging from our phones and social media as much as possible to deepen our presence and in-person relationships. That being said, we still like to make contact with the outside world from time to time, and we offer WiFi to our guests in the main community house from 12-2pm and 7-8pm after dinner. There are many nooks around Punta Mona to enjoy your meals or an afternoon tea… one of our favorites is the picnic tables on the beach, overlooking the Caribbean. As our guest, you are part of our Punta Mona family, and we encourage you to enjoy all of our shared spaces throughout our home.